Another ten authors whose work I’d recommend. You’ll find Part 1 that explains this list here; Part 3 is found here. 11. Bentley, E. C. You’ve got to like a guy whose middle name was used as the name for a style of verse (the “clerihew”). You’ve also got to respect his creation of Trent’s Last Case, which was written in 1913 and is an absolutely crucial volume in the history of detective fiction. There are two follow-up volumes from the 30s but Trent’s Last Case is just a necessary book. You have to read it and remember that it was written in 1913 — this writer invented things that we take for granted today. 12. 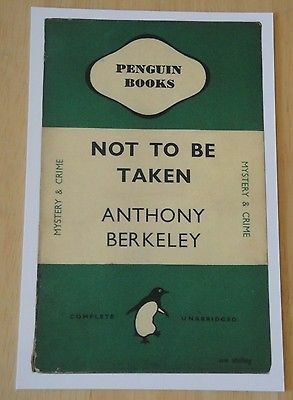 Berkeley, Anthony I’ve written about Mr. Berkeley elsewhere, in connection with his creation of an absolute classic of detective fiction, The Poisoned Chocolates Case. To my mind, the guy is just brilliant. Writing as Francis Iles, he pretty much invented the “open mystery”, where you know whodunnit from the outset but the story is still gripping. I read a comment recently that said that Berkeley seems to specialize in “trick” stories, where if you know the trick the book is over. There is a little bit of truth in this, but honestly I’d rather try to figure out Berkeley’s tricks than those of a dozen other authors. He’s funny, he’s sardonic, and his puzzles are extremely difficult. 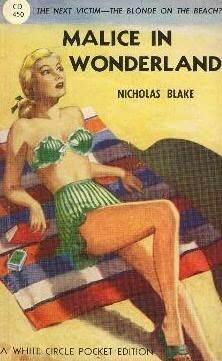 Not To Be Taken is generally considered to be right up there with his finest work (Before The Fact, Malice Aforethought, Poisoned Chocolates) but few people have read it. 13. 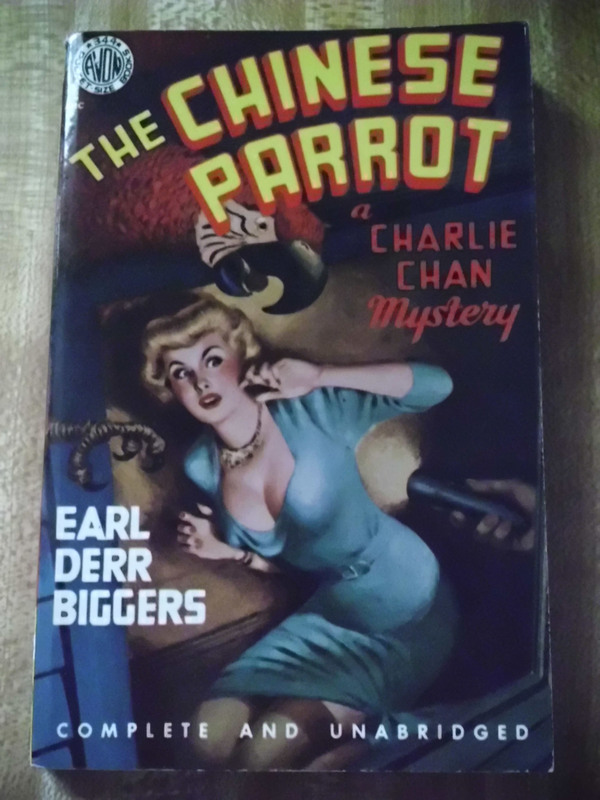 Biggers, Earl Derr Biggers created Charlie Chan and wrote the six novels in the series between 1925 and 1932. So there are about six times as many movies as actual novels, and the movies were created as B-level commercial products. You’ll get a different idea of the Chinese-American detective if you go back to the source material and actually read the books, and I recommend it. The stories are clever and it’s nice to read something from the 1920s that treats Asian-Americans in a little more enlightened way. They’re approaching 100 years old, so don’t be surprised if you find them a bit creaky, but remember that these are the six novels that created a character whose name is still a household word. 15. Block, Lawrence In a long and distinguished career like Lawrence Block’s, you’d expect that there would be a bunch of clunkers among the gems. The gems are there for you — the brilliant and gritty and powerful Matt Scudder private eye series makes up for his beginnings writing “Lesbian confession” paperback originals, I hope — but Block is a master of so many styles and niches that you will certainly find things you love and things you don’t. I’ve found that Scudder fans tend to not like the lightly amusing Bernie Rhodenbarr novels, and vice versa, and that’s fine. Block writes a lot and publishes often, and has tried his hand at a lot of different things. He’s a damn good writer and you’ll find something to your taste, I think. Just don’t give up quickly if you don’t like the first one that comes to hand. 16. Boucher, Anthony I’ve written about Boucher’s novels before, here and here. He only wrote seven full-length mysteries, but every single one of them is worth reading and is important to the field. He was, in my opinion, the best reviewer of mysteries ever; he knew what to look for and what to point out, telling the reader just enough to pique curiosity without giving away too much. Boucher was frighteningly intelligent and knowledgeable in widely separated areas, from opera librettos to Sherlock Holmes to craft beer; his career spanned books, reviewing, radio scripts, and perhaps most importantly his role as a catalyst around whom other writers coalesced. Strangest of all, he had an equally strong presence in the nascent field of science fiction. 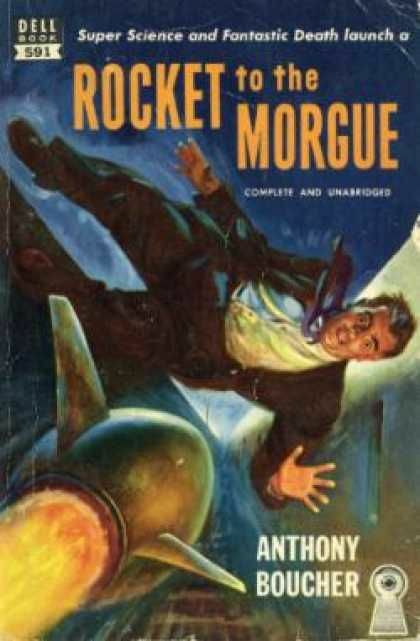 I always recommend the Fergus O’Breen series, start to finish; if you’re interested in science fiction, Rocket to the Morgue is a roman a clef about west coast writers such as Robert Heinlein (and yes, the victim is apparently based on Adrian Conan Doyle, whom a lot of real-life people thought needed murdering). 17. 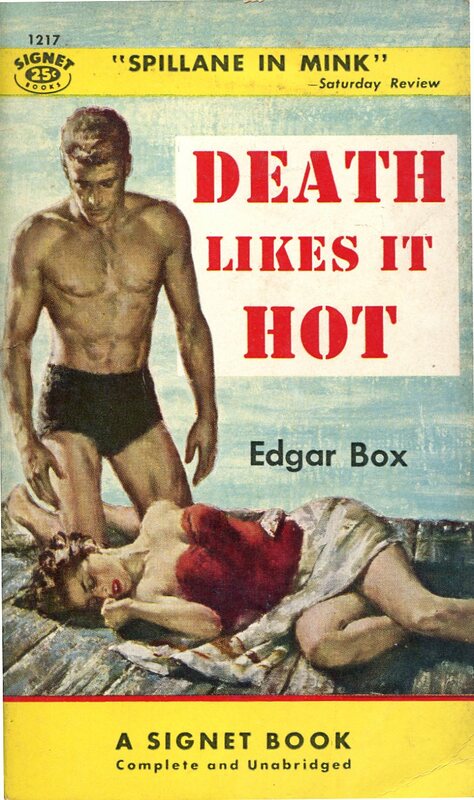 Box, Edgar Edgar Box was the pseudonym used by Gore Vidal for his three mysteries from the early 50s starring randy PR consultant Peter Cutler Sergeant II. It’s a shame he didn’t continue the series, but these three are acerbic, bitterly funny, clever, beautifully written, and fascinating looks at a bygone era. It’s hard to imagine at this remove that it was considered shocking to write about a gay ballerino as a minor character in Death in the Fifth Position, but it was even more shocking at the time that the protagonist didn’t find it shocking, if you follow me. Vidal was a great writer and these are a fascinating little sideline; I frequently recommend these to people who have a taste for “literary fiction” and consider genre works beneath them. Vidal knew how to say just enough to get his point across, and the books are smooth as silk. 18. Brackett, Leigh Leigh Brackett gets wedged into this category because she ghosted an interesting mystery novel for George Sanders, and wrote a few non-series mysteries that are above average and screenplays for some famous movies, but really she’s much better known as a master of science fiction. Her science fiction is still very readable and has the delicious flavour of high adventure that appeals to adolescent boys of any age; the Eric John Stark series will appeal to 14-year-olds and lure them into reading in a painless and clever way. It seems as though she could write in any genre in both screenplays and print; she novelized Rio Bravo, wrote the screenplay for one of the early Crime Doctor mystery films, an episode of The Rockford Files, the screenplay of The Big Sleep — and has a screen credit for Star Wars Episode V: The Empire Strikes Back. That credential alone will hook your 14-year-old non-reader! 19. Bradley, Alan Alan Bradley is one of the few writers who knows how to write from a child’s point of view; his series protagonist, teenage Flavia de Luce, is a brilliant creation and one of my T0p 10 Women Detectives in books. The stories are balanced on the knife-edge between sympathetic and twee; my opinion is that they never go too far, but I know some people find them cloying. Try The Sweetness at the Bottom of the Pie and give it 50 pages. You’ll either set it aside, which happens occasionally, or you’ll immediately go and get the other six in the series and savour them slowly. 20. 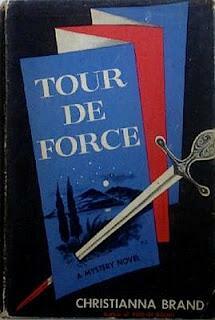 Brand, Christianna I’ve been a champion of this writer ever since I first read the incredible Tour de Force — about murder on a package tour of the Mediterranean. The central clue is so squarely and fairly planted that it gave me the wonderful forehead-slapping moment I so often want but rarely find — I SHOULD have known whodunnit, but Ms. Brand slipped it right past me. She often does. Death of Jezebel is wonderfully difficult and satisfying, I think. Not all her works are perfect; Heads You Lose has a brilliant story hook but a truly disappointing finish, Death in High Heels has a few false moments, and I don’t personally care for Cat and Mouse much at all, although many people love it. Green for Danger is a well-known puzzle mystery that was made into an Alastair Sim movie, and many people come to her work via that classic. I recommend nearly everything she wrote; I even like Suddenly at His Residence where few others agree. One characteristic of her writing I enjoy is that she added characterization at a time when it wasn’t considered appropriate to detective fiction; the portrait of an adolescent hysteric in Suddenly at his Residence, for instance, is beautifully observed and rather unnecessary; she was writing like a novelist, not just a mystery writer. She also tried her hand at other types of story; I think it’s almost funny that this great mystery writer may be more remembered for creating the children’s character Nanny McPhee. Part 3 will be along soon.